Laid down as LST-962, 17 October 1944, at Bethlehem Steel Co., Hingham, MA. Decommissioned, 12 May 1947, at San Pedro, CA. Decommissioned, 1 June 1956, at Astoria, OR. three Diesel-drive 100Kw 120V/240V D.C.
two Diesel-drive 60Kw 450V A.C.
230k Romulus (ARL-22) officers, circa 1952, location unknown. 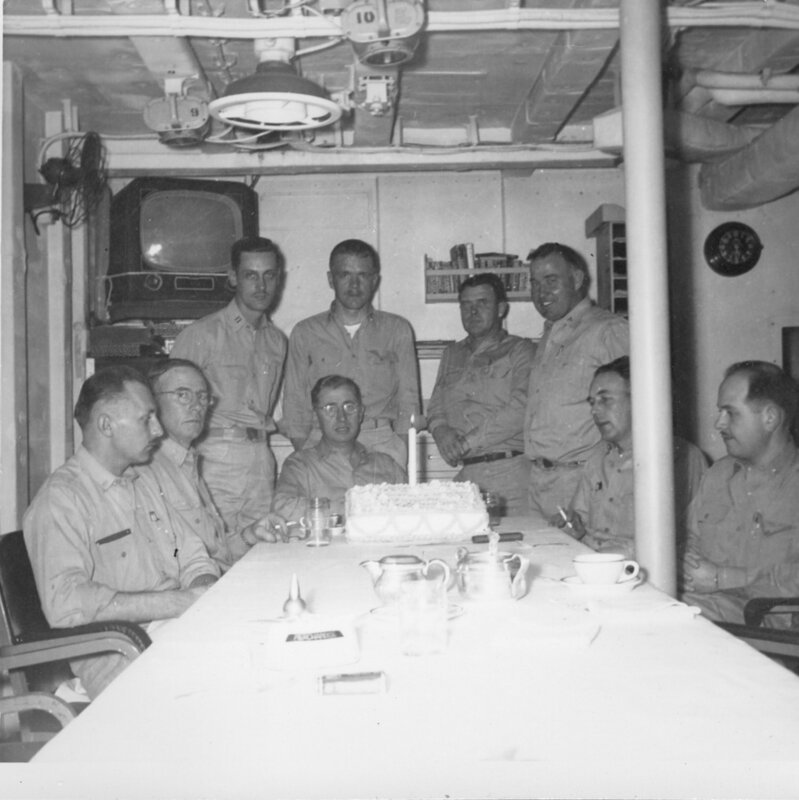 Back Row, left to right; Slattery, Wallace, White, Allain. 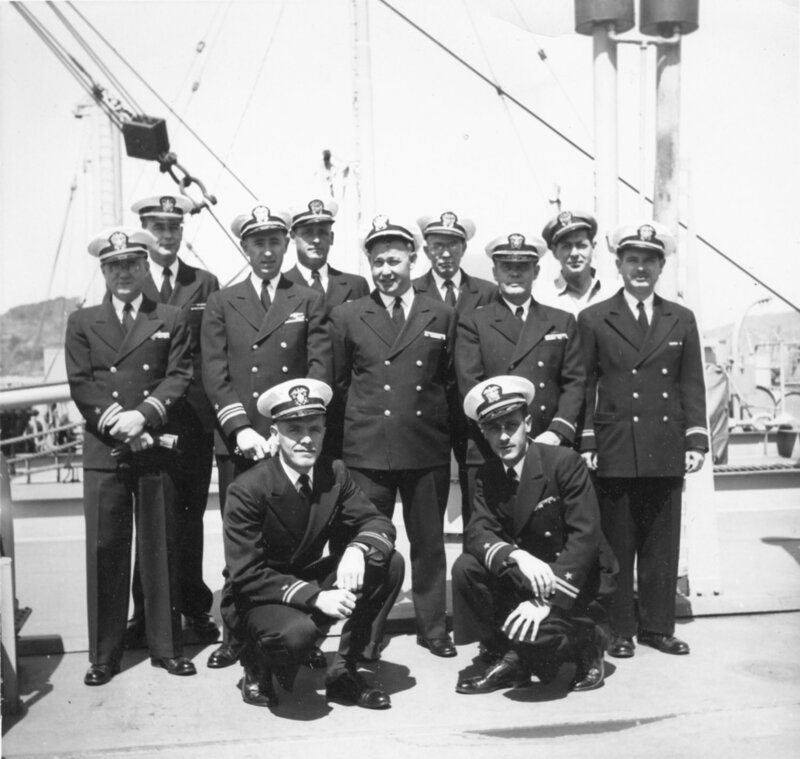 Front Row, one unidentified plus Pereina, LCDR Hemera, Kilduff, and Lang. 236k Romulus (ARL-22) officers, circa 1952, location unknown. Standing, left to right, Jennett, White, Kilduff, Benny Hemus. 87k BRP Aklan (AR-67) getting underway, date and location unknown.